A. Kirkeminde, M. Gong, S. Q. Ren*, “The Renaissance of Iron Pyrite Photovoltaics: Progress, Challenges and Perspectives.” Springer’s Green Energy and Technology Series. Edited by Dr. Zhiqun Lin and Jun Wang, Low Cost Nanomaterials: Toward Greener and More Efficient Energy Application, 2013, chapter 4 (invited book chapter). S. Q. Ren* and Yan Wang, “Energy Conversion and Storage Through Nanoparticles.” RSC Handbook on Nanomaterials. Edited by Dr. Rafael Luque and Rajenda Varma, RSC Green Chemistry Book Series, 2012, chapter 4 (invited book chapter). 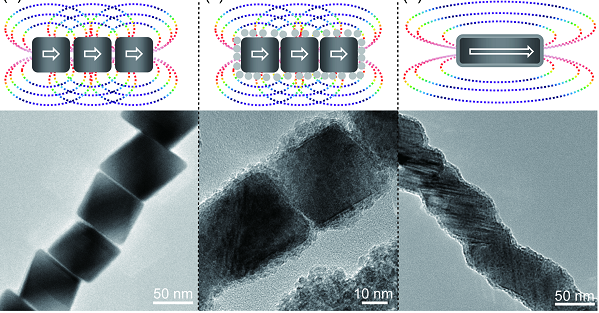 Zhongxuan Wang, Mingsheng Gao, Mengmeng We, Shenqiang Ren, Xiao-Tao Hao , and Wei Qin*，Organic Chiral Charge Transfer Magnets， ACS Nano， DOI: 10.1021/acsnano.9b00988. 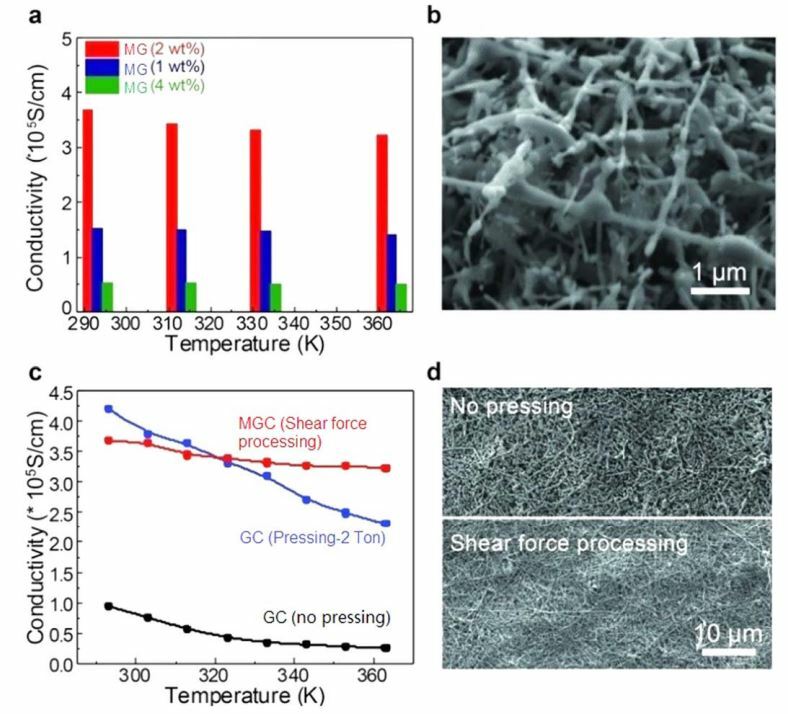 Wei Zhang, Yong Hu, Jinbo Pan , Jingming Zhang, Jun Cui , Qimin Yan and Shenqiang Ren*, High current carrying and thermal conductive copper-carbon conductors, Nanotechnology, 30,185701 (2019). Yingshi Guan, Feng Hu, Changning Li and Shenqiang Ren*, Exciton-dipole coupling in two-dimensional rubrene assembly sensors, Nanoscale, ASAP (2019). 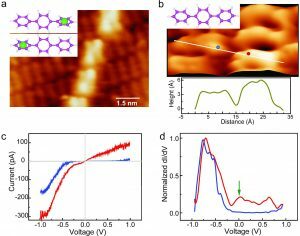 Yong Hu, Guohua Zhong, Ying-Shi Guan, Jason N. Armstrong, Changning Li, Changjiang Liu, Alpha N’Diaye, Anand Bhattacharya, and Shenqiang Ren*, Strongly Correlated Aromatic Molecular Conductor, Small, 1900299 (2019). 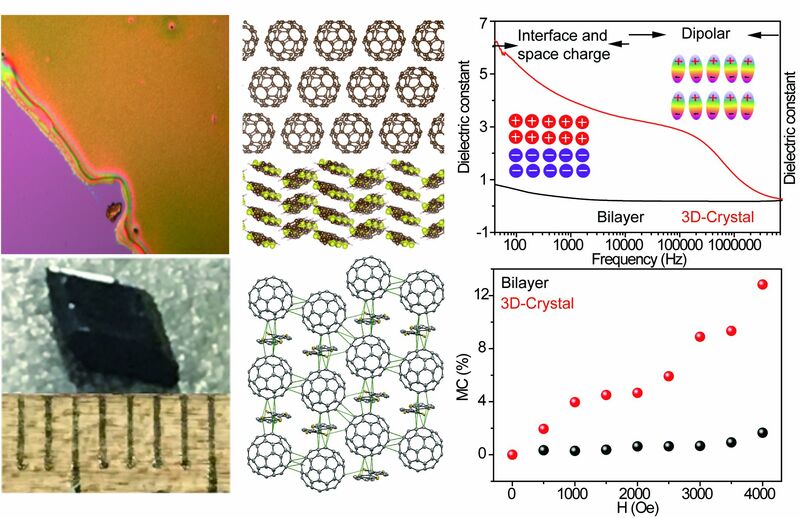 Beibei Xu, Yong Hu, Ying-Shi Guan, Zhuolei Zhang, and Shenqiang Ren*, Ubiquitous energy conversion of two-dimensional molecular crystals, Nanotechnology, 30,15LT01 (2019). Lin Zhang, Yong Hu, Shuquan Chang, Yingshi Guan, Shenqiang Ren*, DOI: 10.1039/c8nr07878e . Three-Dimensional Directed Assembly of Organic Charge-Transfer Heterostructures, Nanoscale, 10, 23170-23174 (2018). Ying-Shi Guan, Guohua Zhong, Yong Hu, Anthony F. Cannella, Changning Li, Namhoon Lee, Quanxi Jia, David C. Lacy* , and Shenqiang Ren* Magnetoelectric radical hydrocarbons, Advanced Materials, doi.org/10.1002/adma.201806263, (2018). Zhang, Zhuolei; Zhang, Jingming ; Thenuwara, Akila; Strongin, Daniel; Sun, Yugang; Ren, Shenqiang, Structure and Magnetism Evolution from FeCo Nanoparticles to Hollow Nanostructure Conversion for Magnetic Applications, ACS Applied Nano Materials, ASAP, (2018). 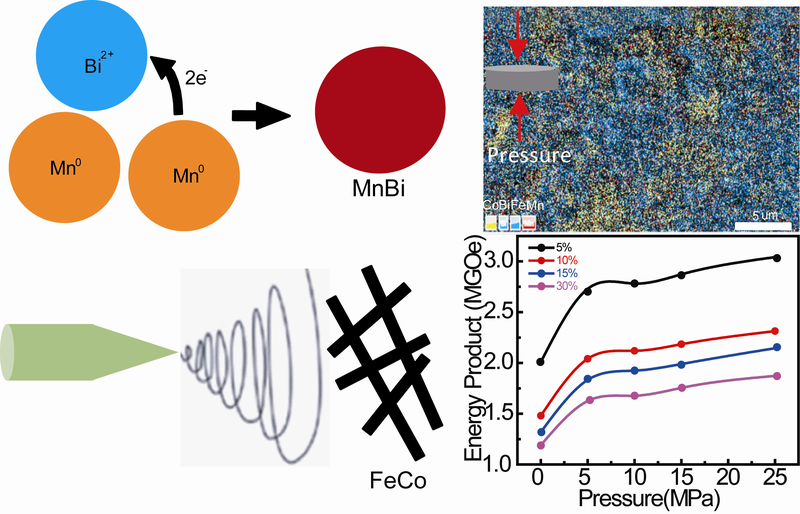 Maogang Gong, Jingming Zhang, Shenqiang Ren*, Magnetic field-directed hybrid anisotropic nanocomposite, ASAP, Nanotechnology ,(2018), doi.org/10.1088/1361-6528/aac9eb. 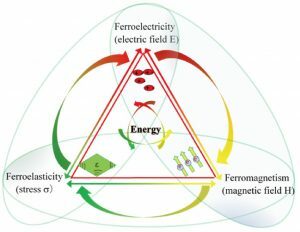 Ketan Patel, Jingming Zhang, and Shenqiang Ren*, Rare-earth-free high energy product manganese-based magnetic materials, Nanoscale, (2018), DOI:10.1039/C8NR01847B. 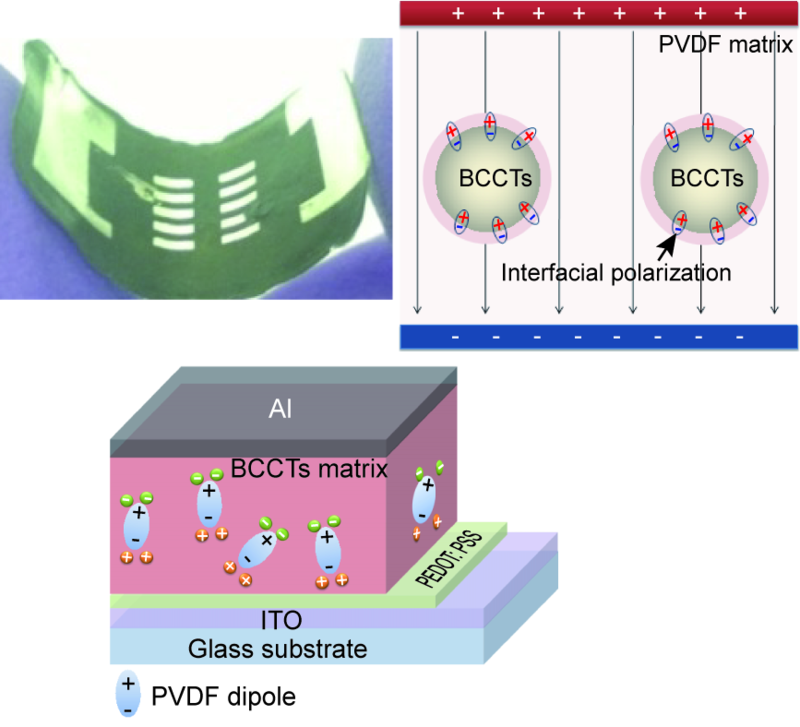 Zhuolei Zhang, Huashan Li, Richards Miller, Hans Malissa, Shirin Jamali, Christoph Boehme, Jeffrey Grossman*, and Shenqiang Ren*, Freestanding organic charge-transfer conformal electronics, Nano Letters, (2018), DOI: 10.1021/acs.nanolett.8b01342. 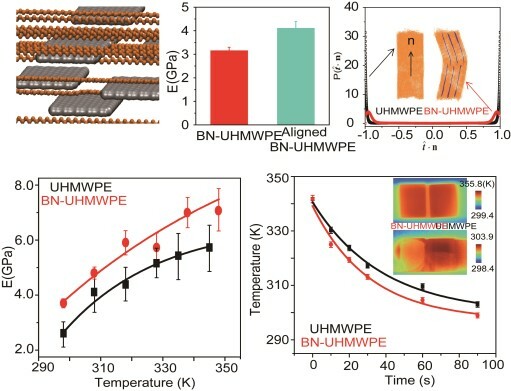 Zhuolei Zhang, Santosh Mogurampelly, Simona Percec,Yong Hu, Giacomo Fiorin*, Michael L Klein*, and Shenqiang Ren*, Mechanically strong polymer sheets from aligned ultra-high molecular weight polyethylene nanocomposites, The Journal of Physical Chemistry Letters (2018), DOI: 10.1021/acs.jpclett.8b00790. 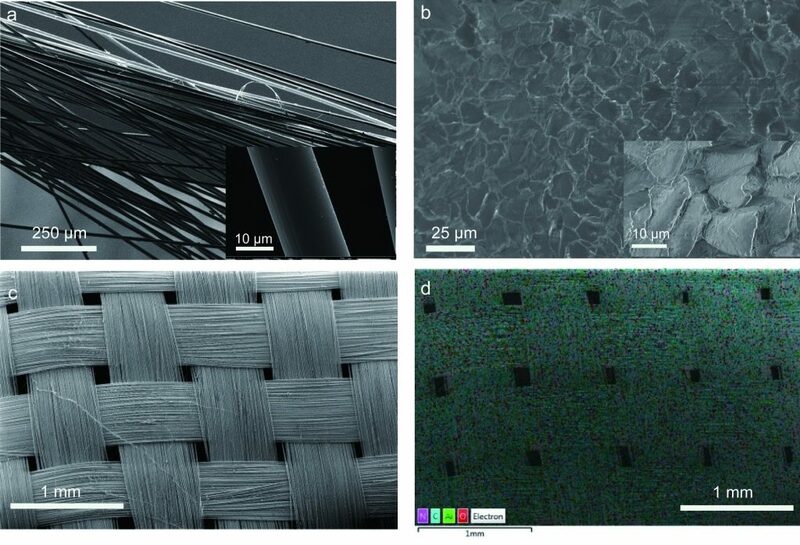 Zhuolei Zhang, Namhoon Lee, Ketan Patel, Mitchell Young, Jingming Zhang, Simona Percec*, and Shenqiang Ren*, Poly(P-Phenylene Terephthalamide) Fibers Reinforced With Ultrathin Ceramic Coatings, Advanced Engineering Materials, (2018), doi.org/10.1002/adem.201800095. Zhuolei Zhang, Richard C. Remsing, Himanshu Chakraborty, Wenxiu Gao, Guoliang Yuan, Michael L Klein*, Shenqiang Ren*, Light-induced dilation in nano-sheets of charge transfer complexes, Proceedings of the National Academy of Sciences, (2018), doi.org/10.1073/pnas.1800234115. 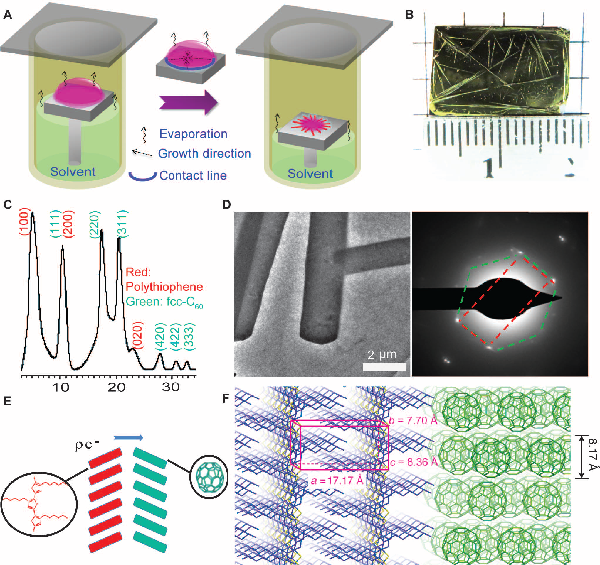 Ying-Shi Guan, Zhuolei Zhang, Yichao Tang, Jie Yin, Shenqiang Ren*, Kirigami Inspired Nanoconfined Polymer Conducting Nanosheets with 2,000% Stretchability, Advanced Materials (2018), doi.org/10.1002/adma.201706390. Wenxiu Gao, Raymond Brennan, Yong Hu, Manfred Wuttig, Guoliang Yuan,* Eckhard Quandt,* and Shenqiang Ren,* Energy Transduction Ferroic Materials, Materials Today, DOI: 10.1016/j.mattod. 2018.01.032 (2018). 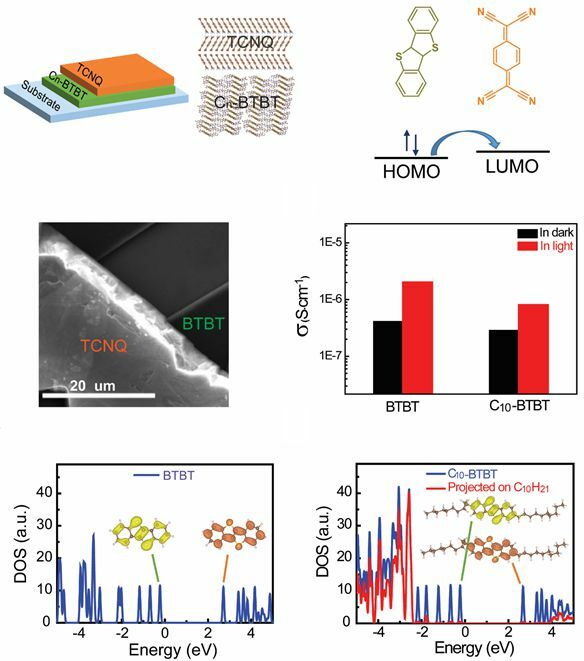 Wenxiu Gao, Zhuolei Zhang, Peng-Fei Li, Yuan-Yuan Tang, Ren-Gen Xiong, Guoliang Yuan*, and Shenqiang Ren*, Chiral molecular ferroelectrics with polarized optical effect and electroresistive switching, ACS Nano, DOI: 10.1021/acsnano.7b07090 (2018). Shixuan Han, Liu Yang, Kun Gao, Shijie Xie*, Wei Qin, and Shenqiang Ren, Spin Polarization of Excitons in Organic Multiferroic Composites, Scientific Reports, 6, doi:10.1038/srep28656 (2016). 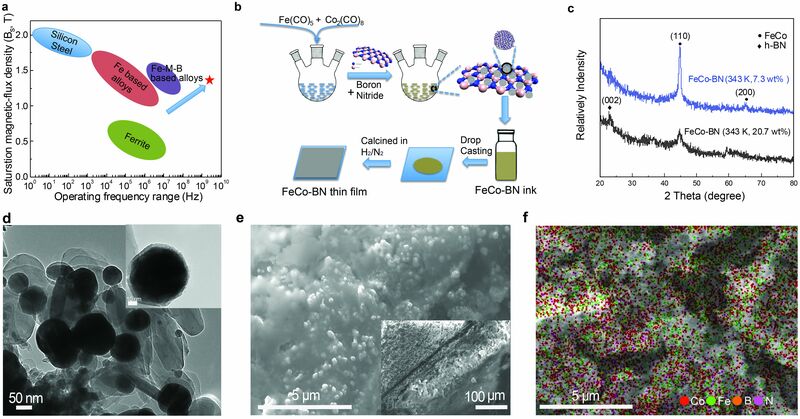 Beibei Xu and Shenqiang Ren*, Integrated charge transfer in organic ferroelectrics for flexible multisensing materials, Small, EMID:0e29972ed860e1ac (2016). * Accepted as the Frontispiece Cover Art for Small. 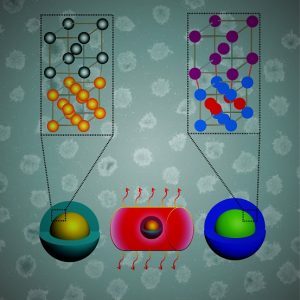 Wei Qin, Xiaomin Chen, Huashan Li, Maogang Gong, Guoliang Yuan, Jeffrey C. Grossman, Manfred Wuttig and Shenqiang Ren*, “Room temperature multiferroicity of charge transfer crystals”, ACS Nano, 9, 9373 (2015) Feature on Youtube: https://www.youtube.com/watch?v=ugM9XVlJtT4, and ACS Nano Podcast. Alec Kirkeminde, Jian Shen, Maogang Gong, Jun Cui, and Shenqiang Ren*,”Metal-Redox Synthesis of MnBi Hard Magnetic Nanoparticles”, Chemistry of Materials, 27, 4677 (2015). Youpin Gong, Qingfeng Liu, Jamie Samantha Wilt, Maogang Gong, Shenqiang Ren & Judy Wu, “Wrapping cytochrome c around single-wall carbon nanotube: engineered nanohybrid building blocks for infrared detection at high quantum efficiency“, Scientific Report, 5, 11328 (2015). 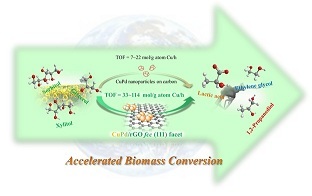 Jin, X.; Zhao, M.; Shen, J.; Yan, W.; He, L.; Thapa, P. S.; Ren, S.; Subramaniam, B.; Chaudhari, R. V. “Exceptional performance of bimetallic Pt1Cu3/TiO2 nanocatalysts for oxidation of gluconic acid and glucose with O2 to glucaric acid,”J. Catal. 330, 323 (2015). Maogang Gong, Tejas A. Shastry, Qiannan Cui, Ryan R. Kohlmeyer, Kyle A. Luck, Andrew Rowberg, Tobin J. 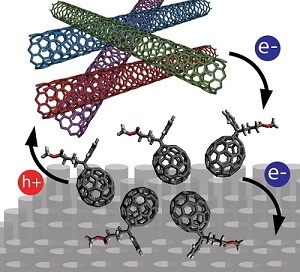 Marks, Michael F. Durstock, Hui Zhao, Mark C. Hersam*, and Shenqiang Ren*, “Understanding Charge Transfer in Carbon Nanotube–Fullerene Bulk Heterojunctions”, ACS Appl. Mater. Interfaces, 7, 7428 (2015). 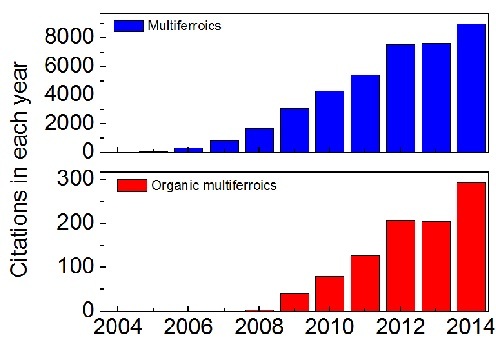 Wei Qin, Beibei Xu and Shenqiang Ren*, “An Organic Approach for Nanostructured Multiferroics”, Nanoscale, DOI: 10.1039/C5NR01435B (2015). Invited Minireview Article. 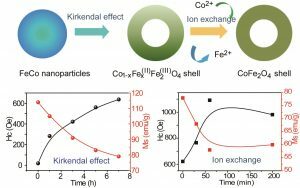 Alec Kirkeminde and Shenqiang Ren*, “Expansion of Metal-Redox Nanosynthesis: The Case Study of Iron Gallium”, Chemical Communications, DOI: 10.1039/c5cc01239a (2015). 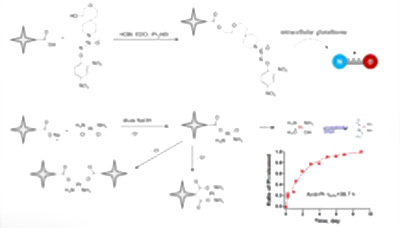 Alec Kirkeminde, Stan Spurlin, Laura Draxler-Sixta, Jamie Cooper, Shenqiang Ren*, “Metal Redox Processes for the Controlled Synthesis of Metal Alloy Nanoparticles”, Angewandte Chemie International Edition, 54, 4203 (2015). Selected as VIP Articles. J. Shen, H. Cui, X. Huang, M. Gong, W. Qin, A. Kirkeminde,J. 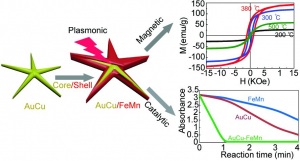 Cui, and S. Ren*, “Synthesis and Characterization of Rare-Earth-Free Magnetic Manganese Bismuth Nanocrystals”, RSC Advances, DOI: 10.1039/C4RA12440E (2014). Yu Xie, Jessica Lohrman and Shenqiang Ren*, “Phase Aggregation and Morphology Effects on Nanocarbon Optoelectronics”, Nanotechnology, 25, 485601 (2014). 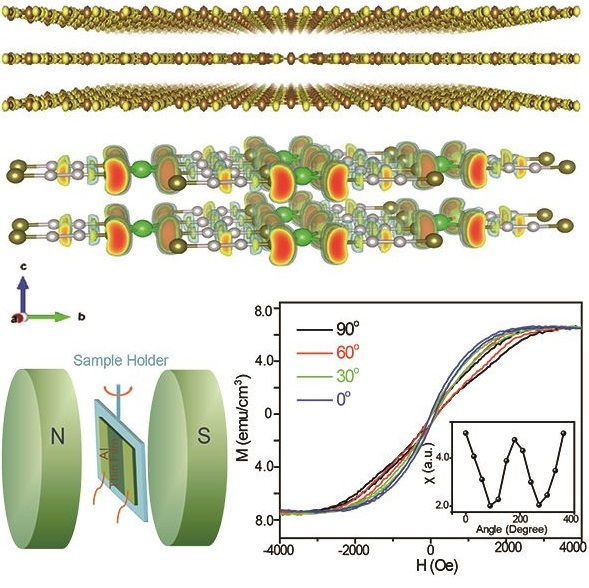 Wei Qin, Maogang Gong, Xiaomin Chen, Tejas A. Shastry, Ridwan Sakidja, Guoliang Yuan, Mark C. Hersam, Manfred Wuttig and Shenqiang Ren*, “Multiferroicity of Carbon-Based Charge Transfer Magnets”, Advanced Materials, DOI:10.1002/adma.201403396 (2014). 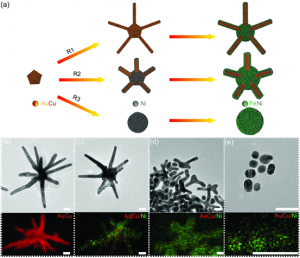 Maogang Gong, Alec Kirkeminde, Manfred Wuttig and Shenqiang Ren*, “Phase Transformation Induced Tetragonal-FeCo Nanostructures”, Nano Letters, DOI:10.1021/nl5030485 (2014). Maogang Gong, Tejas A. Shastry, Yu Xie, Marco Bernardi, Daniel Jasion, Kyle A. Luck, Tobin J. 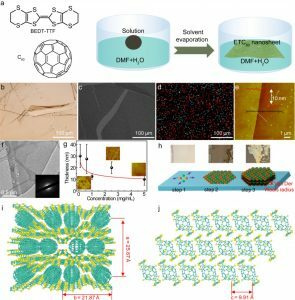 Marks, Jeffrey C. Grossman, Shenqiang Ren*, and Mark C. Hersam*, “Polychiral Semiconducting Carbon Nanotube-Fullerene Solar Cells”,Nano Letters, 14, 5308 (2014). 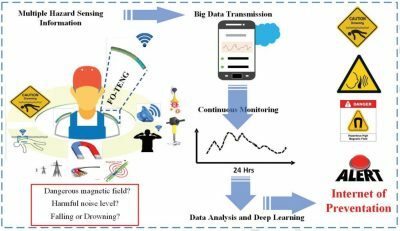 Wei Qin, Maogang Gong, Tejas A. Shastry, Mark C. Hersam, and Shenqiang Ren*, “Charge-Transfer Induced Magnetic Field Effects of Nano-Carbon Heterojunctions”, Scientific Report, DOI:10.1038/srep06126 (2014). 41. Kirkeminde, A.; Ren, S. Q. *, “Interdiffusion Induced Exchange Coupling of L10-FePd/α-Fe Magnetic Nanocomposites”.Nano Letters, 14, 4493 (2014). 40. Gong, M.; Kirkeminde, A.; Skomski, R.; Cui, J.; Ren, S. Q. *, “Template-Directed FeCo Nanoshells on AuCu” .Small, 10, 4118 (2014). 39. Wei, Q.; Lohrman. J.; Ren, S. Q. *, “Magnetic and Optoelectronic Properties of Gold Nanocluster-Thiophene Assembly”. Angewandte Chemie International Edition, 126, 7444 (2014). 38. Wei, Q.; Jasion, D.; Chen, X.; Wuttig, M.; Ren, S. Q. *, “Charge-Transfer Magnetoelectrics of Polymeric Multiferroics”. ACS Nano, 8, 3671 (2014). 37. Wang, Y.; Lai, Q.; Zhang, F.; Shen, S.; Fan, M.; He Y.; and Ren, S.,”High efficiency photocatalytic conversion of CO2 with H2O over Pt/TiO2 nanoparticles”. RSC Advance, 8, 3671 (2014). 36. 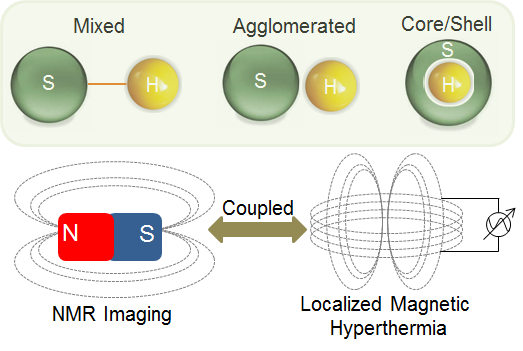 Podaru, G.; Ogden, S.; Baxter, A,; Shrestha, T.; Ren, S.; Thapa, P.; Dani, R.; Wang, H.; Basel, M.; Prakash, P.; Bossmann, S.; Chikan, V.;”Pulsed Magnetic Field Induced Fast Drug Release from Magneto Liposomes via Ultrasound Generation”. J. Phys. Chem. B,, 118, 11715 (2014). Hong, C.; Jin, X.;Totleben, J.;Lohrman, J.; Harak E.; Subramaniam, B.;Chaudhari, RV. ; Ren, S. Q. 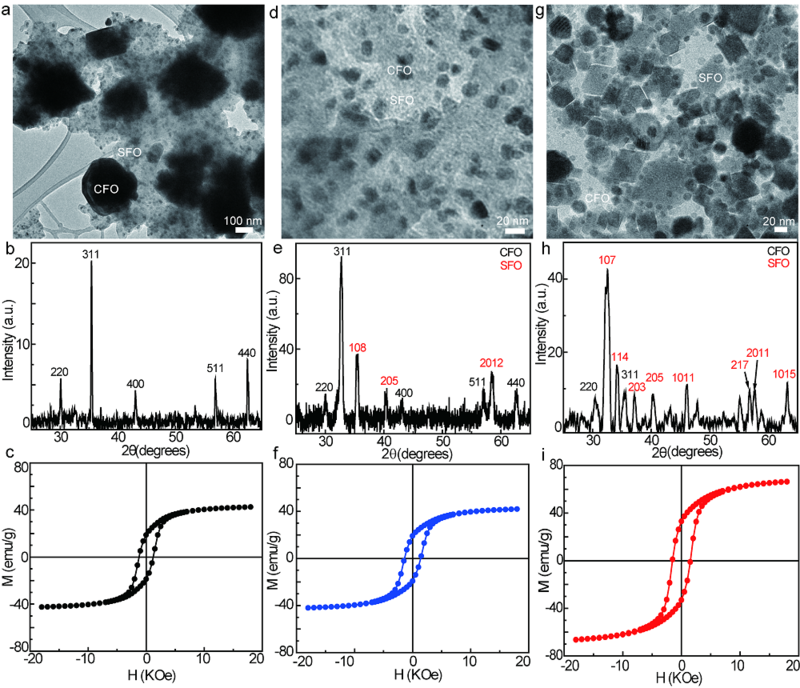 *, “Graphene Oxide Stabilized Cu2O for Shape Selective Nanocatalysis”. Journal of Materials Chemistry A, DOI: 10.1039/C4TA00599F(2014). Gong, M.; Yang, Z.; Xu, X.; Jasion, D.; Mou, S.; Zhang, H.; Long, Y.; Ren, S. Q. *, “Superhydrophobicity of hierarchical ZnO nanowire coatings”, Journal of Materials Chemistry A, DOI: 10.1039/C3TA14102K (2014). 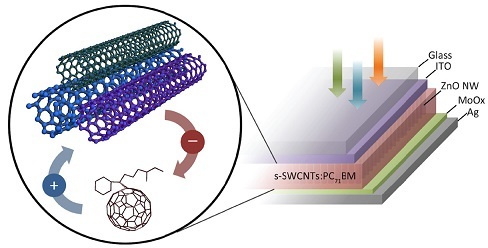 H. Cui, C. Hong, A. Ying, X. Yang, Shenqiang Ren*, “Ultrathin Gold Nanowire-Functionalized Carbon Nanotubes for Hybrid Molecular Sensing”, ACS Nano, DOI: 10.1021/nn4027323 (2013). M. Gong, A. Kirkeminde, N. Kumar, H. Zhao, Shenqiang Ren*, “Ionic-Passivated FeS2 Photocapacitors for Energy Conversion and Storage”, Chemical Communications, DOI: 10.1039/C3CC45088K (2013). 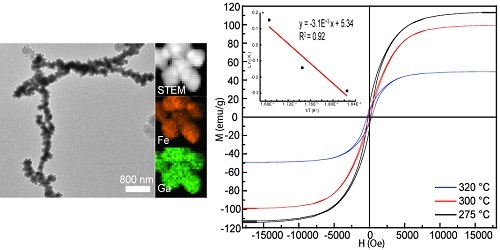 M. Gong, A. Kirkeminde, Shenqiang Ren*, “Symmetry-Defying Iron Pyrite (FeS2) Nanocrystals through Oriented Attachment”, Scientific Report,doi:10.1038/srep02092, (2013). 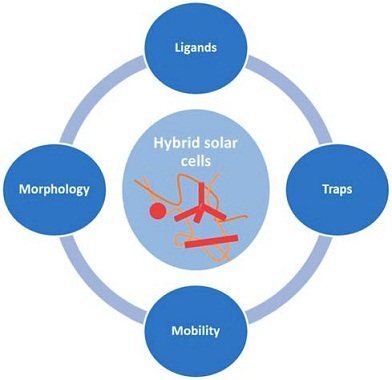 F. Gao*, Shenqiang Ren*, J. Wang*, “The renaissance of hybrid solar cells: progresses, challenges, and perspectives”,Energy & Environmental Science, DOI: 10.1039/c3ee23666h. (2013). 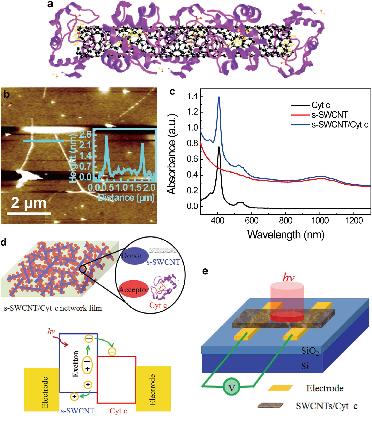 Y. Xie, M. Gong, T. Shastry, J. Lohrman, M. Hersam, and Shenqiang Ren*, “Broad Spectral Response Nano-Carbon Bulk Heterojunction Excitonic Photodetectors”, Advanced Materials, 25, 3432 (2013). Featured on the cover for Advanced Materials. 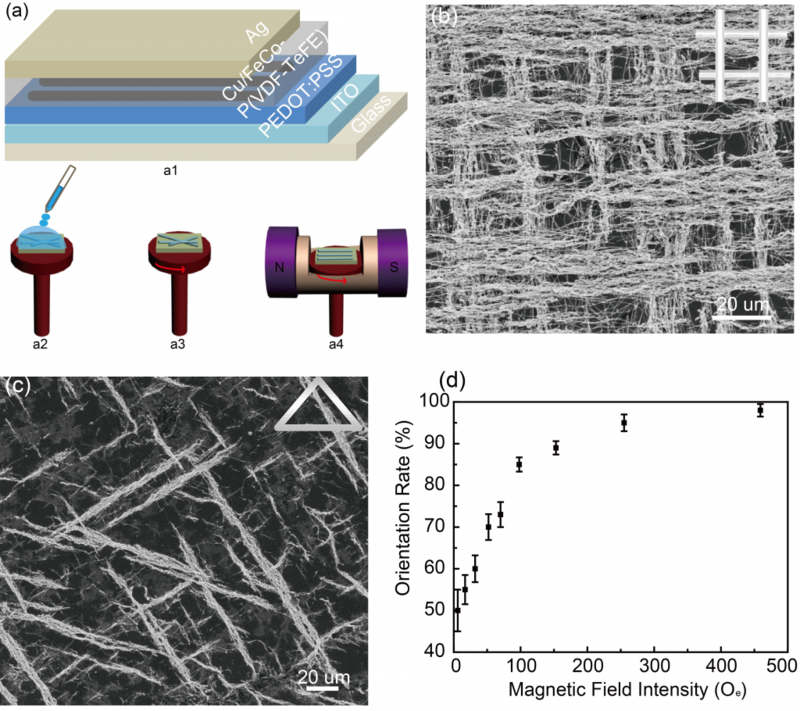 T. Zhang, H. Cui, C. Fang, L. Su, Shenqiang Ren, H. Chang, X. Yang, and M. L. Forrest, “Photoacoustic contrast imaging of biological tissues with nanodiamonds fabricated for high near-infrared absorbance”, Journal of Biomedical Optics, 18, 2, (2013). X. Jin, L. Dang, J. Lohrman, B. Subramaniam, Shenqiang Ren*, and R. V. Chaudhari*, “Lattice-Matched Bimetallic CuPd-Graphene Nanocatalysts for Facile Con-version of Biomass-Derived Polyols to Chemicals”, ACS Nano, 7, 1309 (2013). 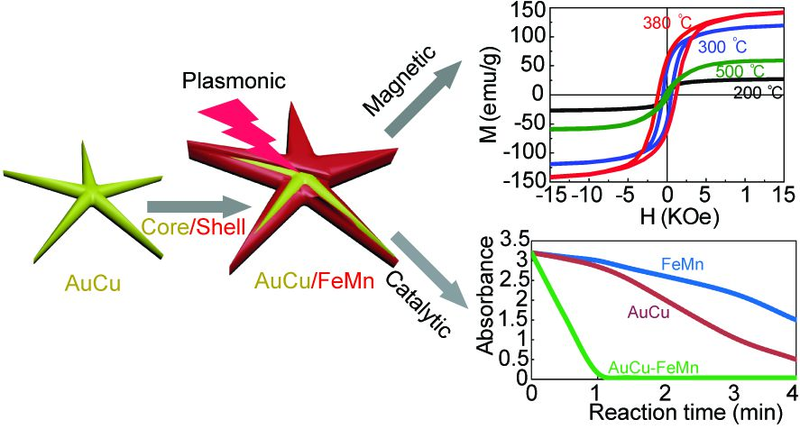 M. Gong, A. Kirkeminde, Y. Xie, R. Lu, J. Liu, J. Wu, Shenqiang Ren*, “Iron Pyrite (FeS2) Broad Spectral and Magnetically Responsive Photodetectors”, Advanced Optical Materials, 10.1002/adom.201200003 (2013). Featured on the cover for Advanced Optical Materials. J. Lohrman, Y. Liu, X. Duan, X. Zhao, M. Wuttig and S.Q. 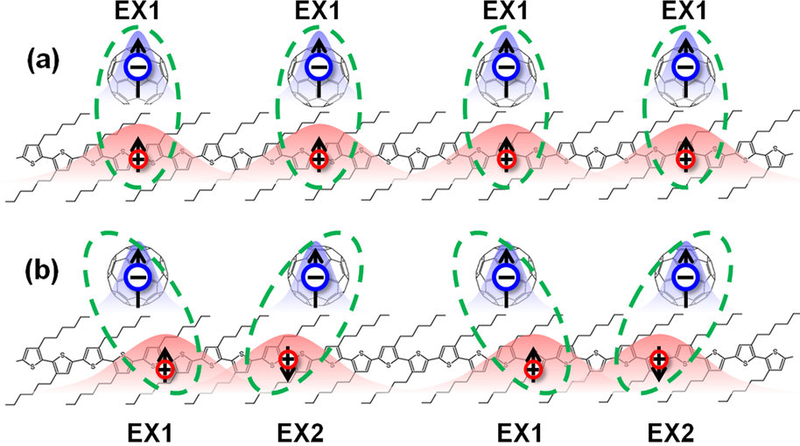 Ren*, “All Conjugated Copolymer Excitonic Multiferroics”,Advanced Materials, 25, 783 (2012). R. Lu, C. Christianson, A. Kirkeminde, S.Q. Ren, J. Wu, “Extraordinary Photocurrent Harvsting at Type-II Heterojunction Interfaces: Towards High Detectivity Carbon Nanotube Infrared Detectors”, Nano Letters, 12, 6244(2012). B. Ruzicka, R. Wang, J. Lohrman, S. Q. Ren*, H. Zhao*, “Exciton diffusion in semiconducting single-wall carbon nanotubes studied by transient absorption microscopy”, Physical Review B. 86, 201457 (2012). 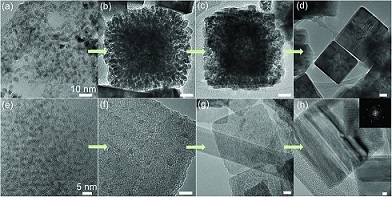 M. Bernardi, J. Lohrman, P. Kumar, A. Kirkeminde, N. Ferralis, J. C. Grossman, and S. Q. Ren*, “Nano-Carbon Photovoltaics”, ACS Nano, 6, 8896 (2012). 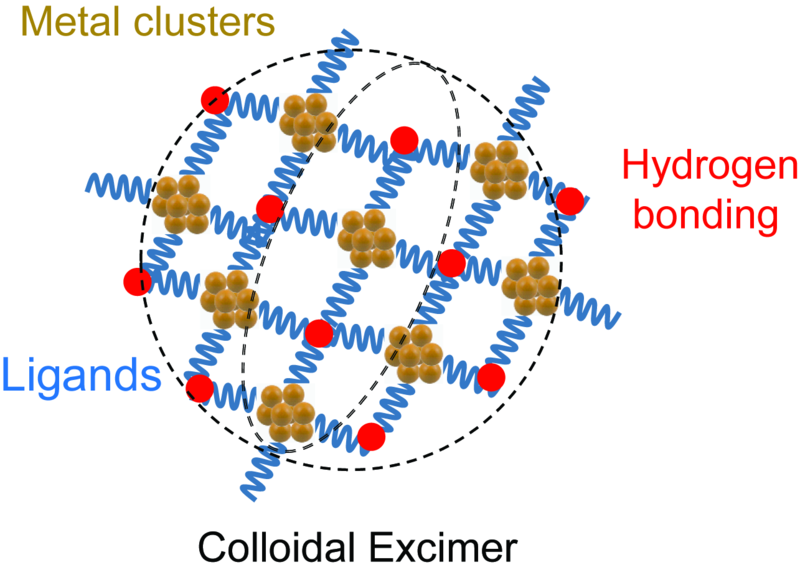 One of the Most Read Articles in ACS Nano for 09/2012, 10/2012. 20. 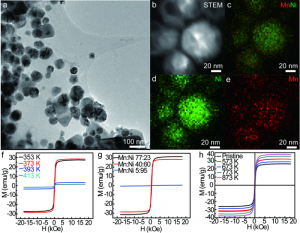 A. Kirkeminde, R. Scott, S. Q. Ren*, “All Inorganic Iron Pyrite Nano-Heterojunction Solar Cells”, Nanoscale, DOI:10.1039/C2NR32097E (2012). 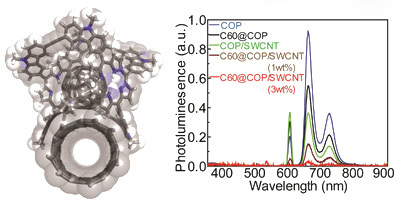 J. Lohrman, C. Zhang, W. Zhang, and S. Q. Ren*, “Semiconducting Single-Wall Carbon Nanotube and Covalent Organic Polyhedron-C60 Nanohybrids for Light Harvesting” Chemical Communications, 48,8377 (2012). 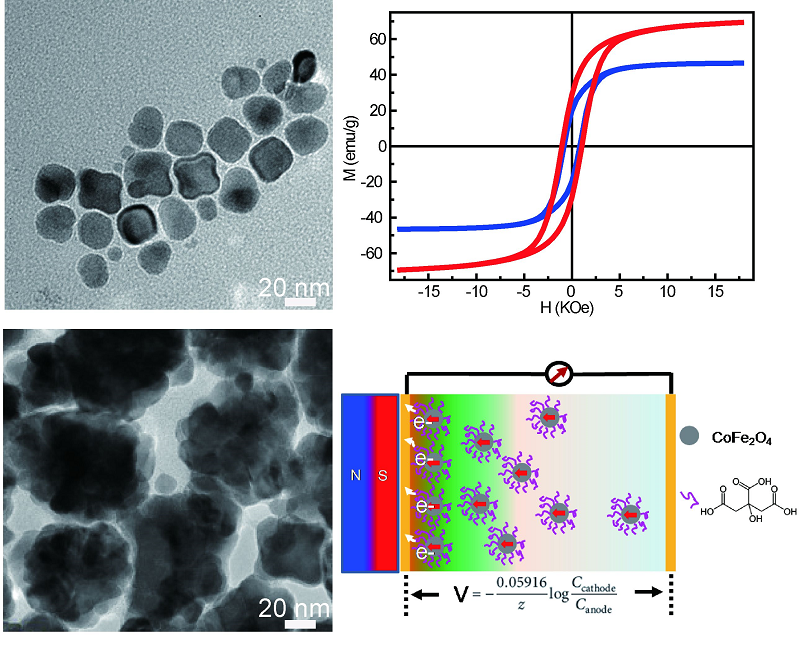 A. Kirkeminde, M. Retsch, Q. Wan, G. Xu, R. Hui, J. Wu and S. Q. Ren*, “Surface-Passivated Plasmonic Nano-Pyramids for Bulk Heterojunction Solar Cell Photocurrent Enhancement”, Nanoscale, DOI: 10.1039/C2NR30735A, (2012). 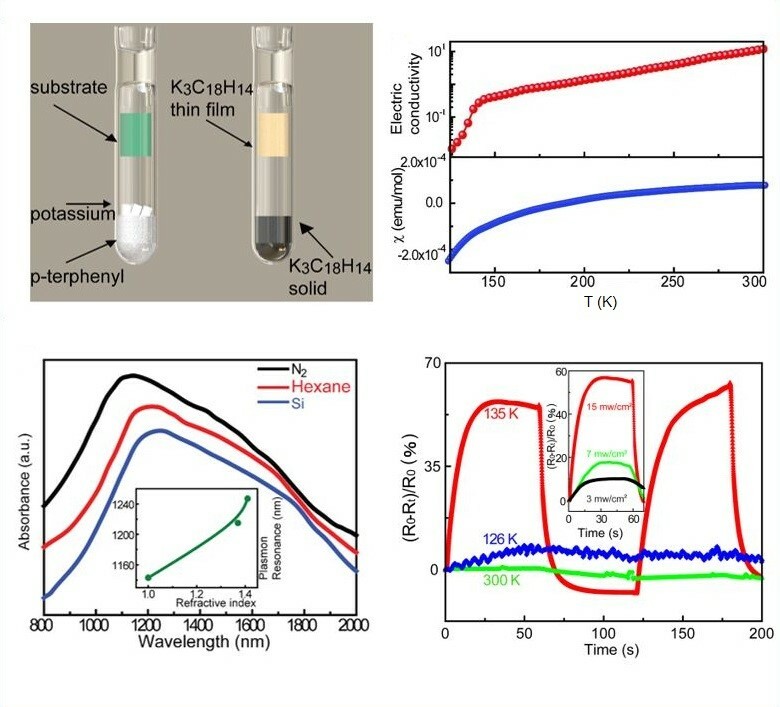 A. Kirkeminde, B. Ruzicka, R.Wang, S. Puna#, H. Zhao, Shenqiang Ren*, “Optoelectronic response of solution processed two dimensional FeS2 Nanoplates” ACS Appl. Mater. & Inter. 4, 1174 (2012). S. Duan, S. Cai, Y. Xie, T. Bagby, S.Q. Ren, M. L. Forrest, “Synthesis and characterization of a multi-arm poly(acrylic acid) star polymer for application in sustained delivery of cisplatin and a nitric oxide prodrug” Journal of Polymer Science Part A: Polymer Chemistry, 50,2715 (2012). 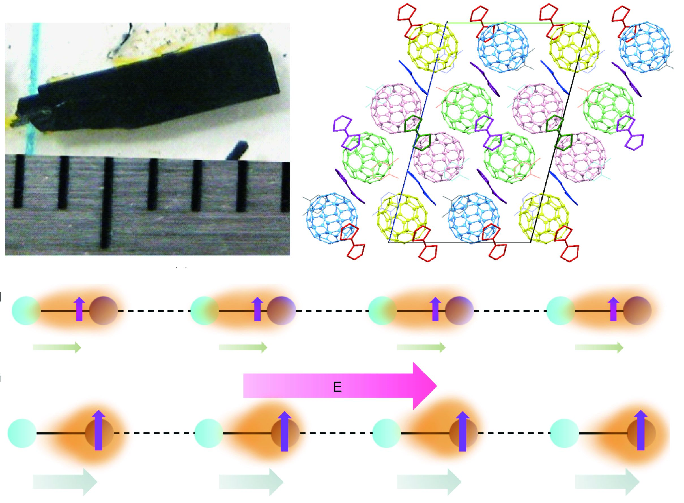 S. Q. Ren*, and M. Wuttig, “Organic Exciton Multiferroics,” Advanced Materials, 24, 727 (2012). L. Dang#, Q, Sa, Z. Zheng, Y. Wang and S. Q. Ren*, “Nanoporous Carbon Sponge as the Anode Materials for Lithium Ion Batteries” Journal of New Materials for Electrochemical Systems, (2012). 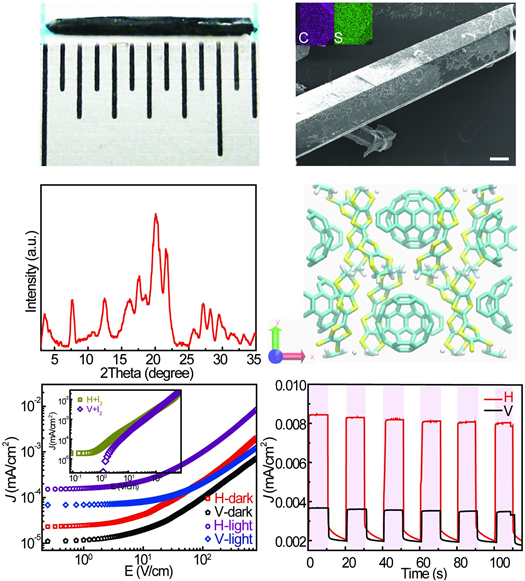 S. Q. Ren, L. Chang, S. Lim, J. Zhao, N. Zhao, M. Smith, V. Bulovic, M. Bawendi and S. Gradecak, “Inorganic-Organic Hybrid Solar Cell: Bridging Quantum Dots to Conjugated Polymer Nanowires,” Nano Lett., 11, 3998(2011). 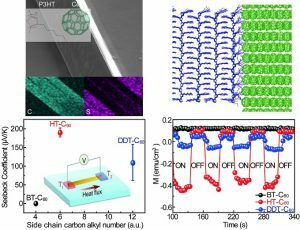 One of the Most Read Articles in Nano Letters for 09/2011, 10/2011. S. Q. Ren, N. Zhao, S. Crawford, V. Bulovic and S. Gradecak, “Heterojunction Photovoltaics using GaAs Nanowires and Conjugated Polymers,” Nano Lett., 11,408 (2010). S. Q. Ren, S. Lim, and S. Gradecak, “Thermal Responsiveness: Self-Assembled Block Copolymer Au clusters,” Chem. Commun., 46, 6246 (2010). 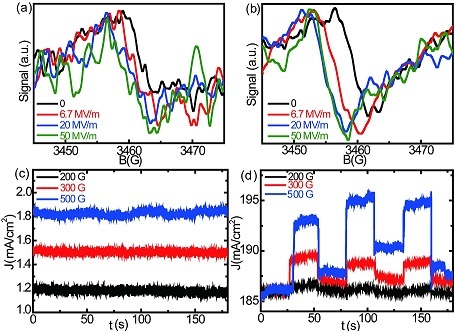 M. Tambe, S. Q. Ren and S. Gradecak, “Effects of Gold Diffusion on n-type Doping of GaAs Nanowires,” Nano Lett., 10, 4584 (2010). 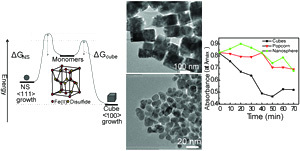 Featured in Virtual Journal of Nanoscale Science & Technology, 30, 19 (2009). Featured in Virtual Journal of Nanoscale Science & Technology, 18, 20 (2008). Featured in Virtual Journal of Nanoscale Science & Technology, 17, 10 (2008). S. Q. Ren and M. Wuttig,”Spinodally Synthesized Magnetoelctrics,” Appl. Phys. Lett. 91, 083501 (2007). S. Lim, M. Murakami, W. Sarney, S. Q. Ren, A.Varatharajan, V. Nagarajan, S. Fujino, M. Wuttig, I. Takeuchi, and L.G. Salamanca-Riba, “The Effects of Multiphase Formation on Strain Relaxation and Magnetization in Multiferroic BiFeO3 Thin Films,” Adv. Func. Mater. 17, 2594 (2007). S. Q. Ren and L. Weng, et al. “BaTiO3/CoFe2O4 particulate composites with large high frequency magnetoelectric response,” J. Mater. Sci. 40, 16 (2005).